At its most recent meeting held at the Konza Prairie Long Term Ecological Research (LTER) site in May 2014, the LTER Science Council elected Peter Groffman, the Principal Investigator of the Baltimore Ecosystem Study (BES) LTER, the new Chair of the LTER Science Council. As is customary, Groffman will serve one year as Chair-elect and two years as Chair, replacing Scott Collins (SEV), who has served since his election in 2010. The Science Council sets and coordinates the scientific direction and vision of the LTER Network. The Council has the responsibility to provide leadership and planning for cross-site research and education, to develop proposals for the conduct of Network-level science, to interact with existing and emerging networks, to develop products that synthesize Network-level data and information, and to otherwise manage the science affairs of the LTER Network. The Chair presides at all meetings of the Science Council and the Executive Board and, along with the Executive Board, generally oversees and supervises the governance of the LTER Network. Among other things the Chair facilitates communication with Network sites regarding decisions of the Executive Board, and serves as (or appoints) liaison to the National Science Foundation (NSF), other agencies, associations, networks, the public, and to Network committees. Groffman’s vision for LTER is to have a strong and evolving partnership with NSF, scientific societies, and the general public, and to make it clear that the LTER network of sites are conducting critically important research that underlies the solutions to key societal challenges, and that LTER is leading the scientific community in the collaborative approaches and data sharing activities that are critical to meeting these challenges. 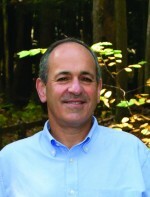 Groffman served on the LTER Governance Working Group (2005 – 2006) that developed the new governance structure for the network, giving the Science Council more responsibility for science, and making the Executive Board more representative and giving it more decision making power.